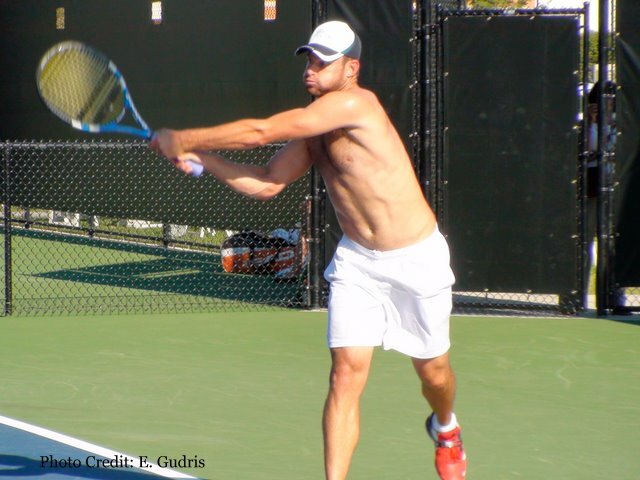 ← Roddick’s “Lob” Lands Him in Hot Water in Cincinnati. ATP Pros Looking to Find Grand Slam Form in Winston-Salem. But perhaps Fish’s stepping out has just increased the visibility of Andy Roddick who took a last minute wildcard after his messy loss in Cincinnati and is now the new top seed this week. Roddick took in a few practice sessions this afternoon to the delight of those on site, but it’s too soon to tell in what form Roddick is in heading into New York. Someone who’s form is definitely not where he wants it to be is Jurgen Melzer, who despite playing a close first set against Russia’s Igor Andreev, found himself literally aced out of the tournament with 7-5, 6-3 loss. In the night session, Slovenia’s Blaz Kavcic defeated Lleyton Hewitt 6-4, 7-6 (3) while young American sensation Ryan Harrison needed three sets and seven match points before finally seeing off veteran Victor Hanescu 1-6, 6-3, 6-4. Harrison said afterwards that he had been feeling under the weather the last few days and planned on keeping the points short in his match that took just over an hour and a half to finish. Harrison now faces Kevin Anderson in the next round. When Winston-Salem was announced as the new host city for the final ATP event before the U.S. Open, it may have been a surprise choice to some in the tennis world, but with the Triad area’s strong tradition in college sports and being the host for several Davis Cup ties, it made perfect sense. The organizers have literally built a tennis complex in under a year’s time just next to the massive football stadium that serves as the home field for Wake Forest and now that the Winston-Salem Open is underway, all those involved can only hope that the fans enjoy it while the players themselves look to improve as much as possible before the final Major of the year.